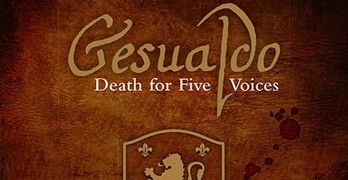 Werner Herzog’s compelling 1995 documentary on enigmatic Renaissance composer Carlo Gesualdo, ‘Death for Five Voices,’ is out on Blu-ray from Arthaus Musik. 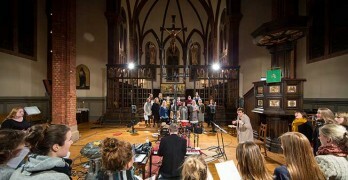 Spes is a Norwegian choral recital, nominated for a 2016 GRAMMY, and features Frode Fjellheim with the choral group Cantus, who receive demonstration-quality sound to complement their outstanding performances. Dyrud’s choral piece Out of Darkness offers a very 21st century take on the Christ story beautifully set with sparse instrumentation. 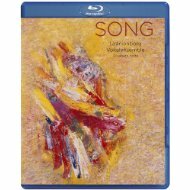 Song is a simply beautiful disc of modern choral music that receives a superb recording by the 2L group. A program of liturgical music devoted to the Virgin Mary, this Blu-ray Audio Disc provides a continuous stream of simply gorgeous choral music that receives a superb recording by the 2L audio engineers. 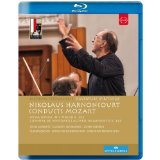 Two of Mozart’s choral masterpieces are given their due in the place of their 1776 premieres by early music specialist Nikolaus Harnoncourt and his hand picked group, Concentus Musicus Wien. The Royal Concertgebouw Orchestra and its assembled soloists and choirs gives us an inspired performance, directed by Ivan Fischer. Excellent visual and audio recording makes this a disc worth owning. 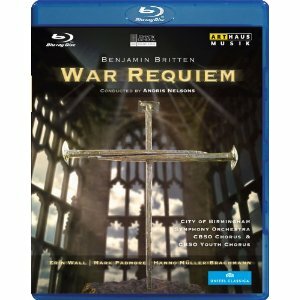 In commemoration of its debut 50 years ago, Arthaus Musik has released a stunning Blu-ray version of Benjamin Britten’s War Requiem. 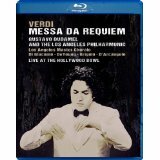 Andris Nelsons directs a strong group of soloists, and the City of Birmingham Symphony Orchestra and Chorus in a moving performance that gets my nod as one of the must-watch discs of the year.